Leisurely cycling, beautiful accommodation and gourmet food and wine tastings and experiences make this the ideal weekend getaway. This is a self-guided cycling tour so you are free to set your own pace, enjoying relaxed lunches and cellar door tastings (some of the best in the region), and stopping to enjoy the scenery as often as you like. The 'support' element includes all accommodation and meal bookings, luggage transfers, food and wine collection and, should you require, a support bus (highly unlikely you will need this but it's there if you do!). Standard or electric bikes are available for hire, or you may choose to bring your own bike. 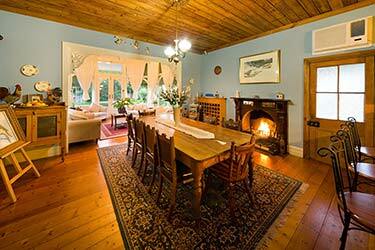 Accommodation consists of one night B&B accommodation and one night in a modern villa with stunning views. The below properties are the ones we usually use, though if these are unavailable we will either offer alternative accommodation of the same standard, or alternative dates. 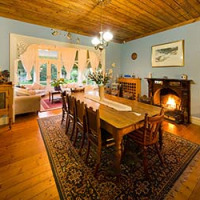 The first night is in the beautiful town of Beechworth at Barnsley House B&B. This is a traditional, quaint and homely B&B set in lovely gardens, located a short walk from the town centre. The second night is spent in Myrtleford at Panoramia Villas. 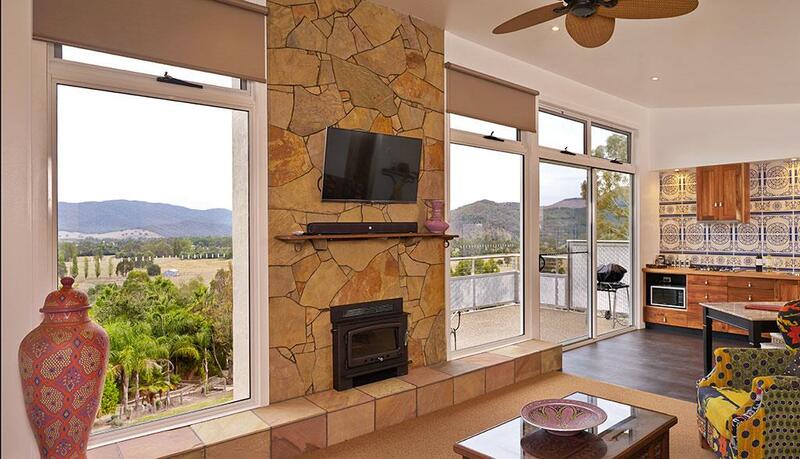 These architecturally designed and luxuriously appointed villas offer stunning panoramic views of the Ovens Valley. The balcony offers the perfect place to unwind with a refreshing drink after an invigorating day's cycling, or in cooler weather you can curl up by the wood fire. You are free to arrive in Beechworth at any time as no cycling is included today. Check-in at your accommodation is from 2pm. The afternoon is yours to stroll around the historic town of Beechworth, one of Victoria's best preserved Gold Rush towns. You might like to visit renowned Beechworth Bakery or perhaps the Bridge Road Brewers. Dinner is included tonight at a local restaurant, with a reservation made for 7.30pm. Enjoy a cooked breakfast this morning before jumping on your bikes and setting out on the Murray to Mountains Rail Trail. Stops today include the organic biodynamic Pennyweight Winery as well as a lunch stop at Gapsted Winery when you will enjoy a wine tasting and food accompaniment experience and stunning views. From here it is a short ride to Myrtleford where you will stay for the night. Dinner is included at a local restaurant. Total distance covered is 43kms. A full cooked breakfast is included this morning at a local cafe accompanied by great coffee to get you revved up! Today's scenic journey to Bright is an easy ride with lots of stops to taste the gourmet produce and wine along the way. Stops include a Pumpkin Seed Factory and the Bright Berry Farm, serving some of the best sundaes you'll ever taste! Lunch is a highlight today at the beautiful Boynton's Feathertop Winery. Weather permitting, enjoy a delicious lunch in the gorgeous alfresco dining area with views across to Mt Buffalo. From here you will continue via Porepunkah to Bright. If time permits, you might like to stop at Ringer Reef Winery. You will then be collected from Bright and transferred back to Beechworth by around 5pm. Total distance covered is 30kms. Please contact us if you would like to extend your trip with a night or two in Bright.... there are some beautiful accommodation options! Note: This is also operated as a small group tour. Please contact us for group departure dates. This tour is available to depart any day of the year, subject to availability. There is no minimum group size as this is a self-guided, supported tour, so it will just be yourself and whoever you choose to share this adventure with! Should you choose to do this with a group of friends, please note we may need to use alternative accommodation options due to room numbers. If you would like to do this tour as part of a guided group, please contact us for available dates. Summer temperatures can reach into the high 20's, so if you don't mind cycling on the warmer days, Summer provides great opportunity for leisurely alfresco lunches, savouring a nice glass of Pinot Grigio while soaking up the sun and the views. There is also a lot happening in Beechworth and Bright over the Summer with markets, music and festivals, so if you plan on extending your stay, you will see a vibrant side to these beautiful country towns. Autumn is, in our opinion, one of the best times to cycle the Murray to Mountains Rail Trail... the weather is perfect for riding with crisp mornings and mild days and the palette of colours from the autumn foliage is stunning. Cool evenings also provide a great opportunity to snuggle up by the fire, perhaps with a nice glass of red! Winter brings quite chilly days in this region with snow on the nearby mountains. So if you don't mind taking a gamble with the weather and getting rugged up, this is certainly a quieter time on the trail. Spring can bring changeable weather, but generally offers mild days perfect for cycling and is also a very pretty time of year to visit. This is an easy cycling tour over relatively flat trails, so is suited to occasional riders or cyclists looking for a relaxed weekend ride. For those who may need a little extra help, there is the option of electric bikes and also the back up of the support vehicle should you need it (but we doubt you will! ).